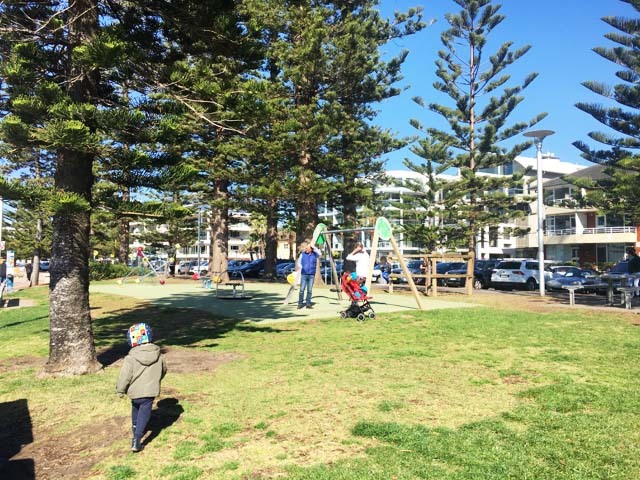 This week, we shared our review of the Manly Lagoon playground located near North Steyne Beachfront in Manly (our review here). We love the Manly Lagoon playground and heading off to Manly beach afterwards for a walk, a play in the sand, walk near the water, ride scooters & bikes along and play along the other small playgrounds along North Steyne. There are showers along the North Steyne to wash off sandy feet or have a rinse. Coming from the end of the strip where Queenscliff Surf Life Saving Club is (there are toilets there), you can find a small playground with a double swing, small merry go round, a see saw and a climbing structure. There is no fence around this playground so be aware of little ones near the car park which is right there and the road. The second small playground which is past the Manly Surf School (which has toilets) has a large basket type swing, a climbing structure with slide, a merry go round, some wall play stations and an all ability swing. There is a partial fence for this playground on the car park and road end however little ones can still escape. 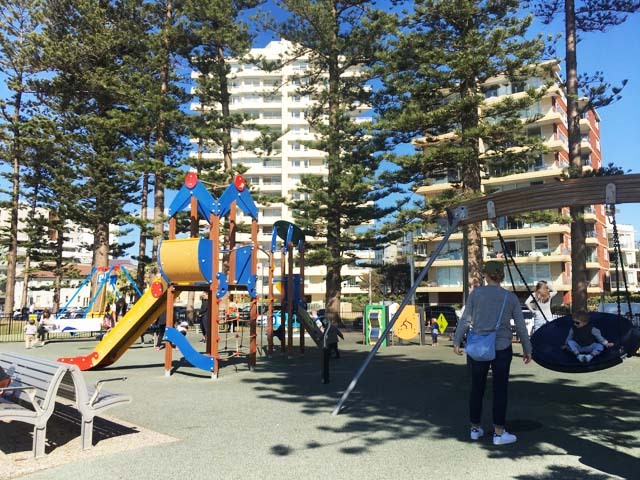 Little ones will love these two playgrounds and combined with the Manly Lagoon playground and a walk or a ride along the North Steyne, kids will sleep well afterwards! 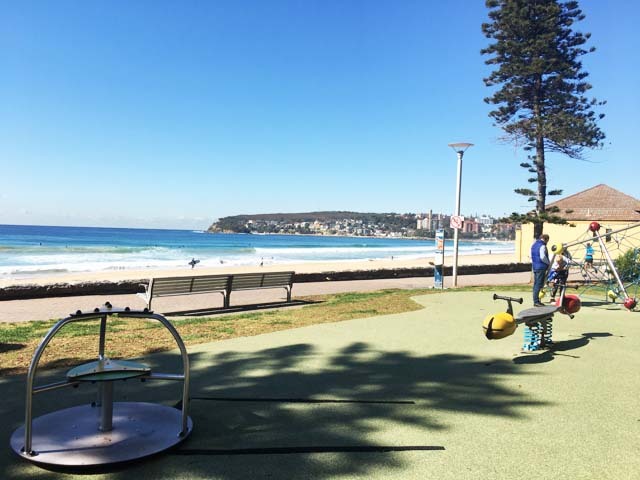 These two playgrounds are located along North Steyne in Manly.